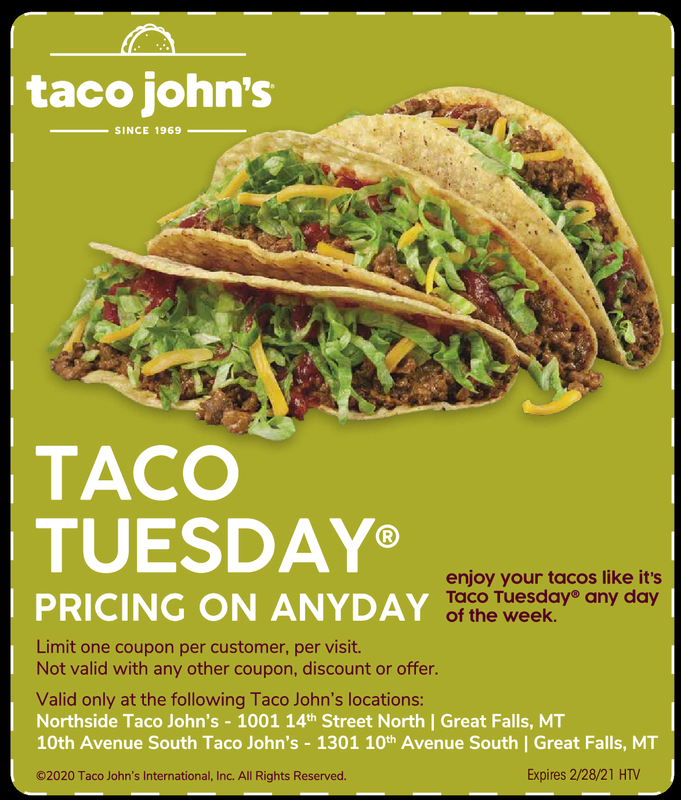 Visit your local Taco Johns to enjoy your favorite tacos, burritos, nachos, Potato Oles and even dessert. 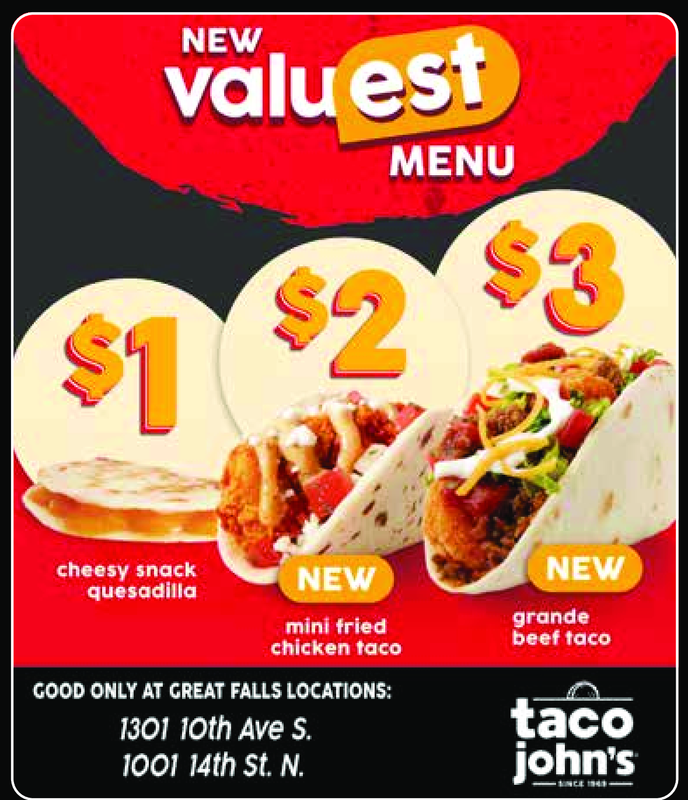 Buy One Super Burrito, Get One Free! Buy One Breakfast Burrito, Get One Free!